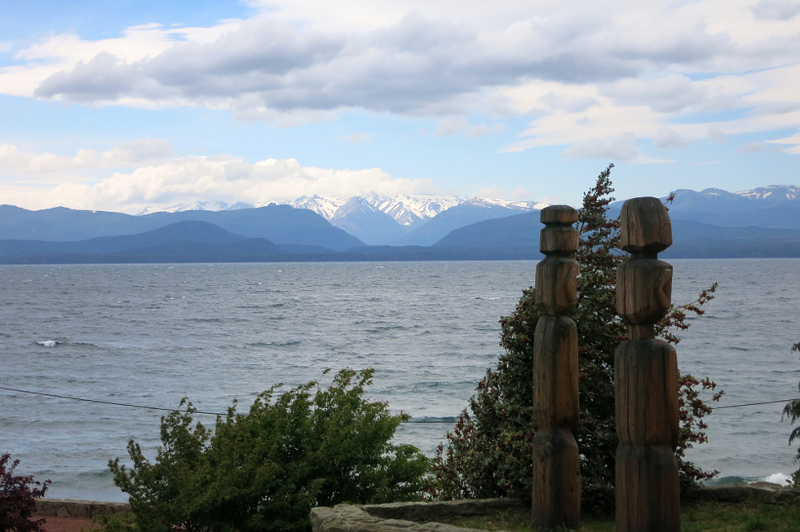 Located on the shores of Nahuei Haupi Lake (named after Native American Indians who once lived here), and the foot of the Andes Mountains, what a pleasure it was to wake to this water view out our window. 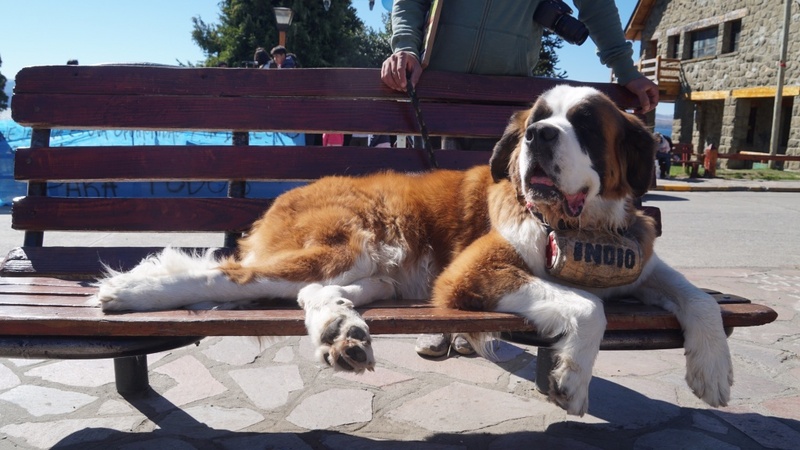 With it’s A framed houses, and buildings made of a combination of hardwood and stone, the weather, the chocolate stores everywhere, and the St. Bernard dogs, one certainly feels like you’re in Switzerland. Walking the streets of the downtown area is so nice since they’ve made several blocks into pedestrians only walkways where cars are not allowed, so you can freely walk down the center. 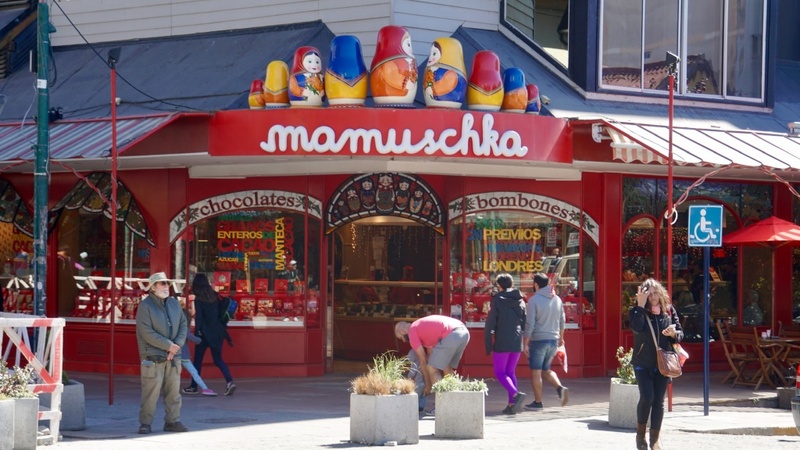 Each block is filled with unique restaurants, outdoor trekking stores like a North Face, Patagonia, and Columbia, and two out of three stores is a chocolate store. Did someone say chocolate? 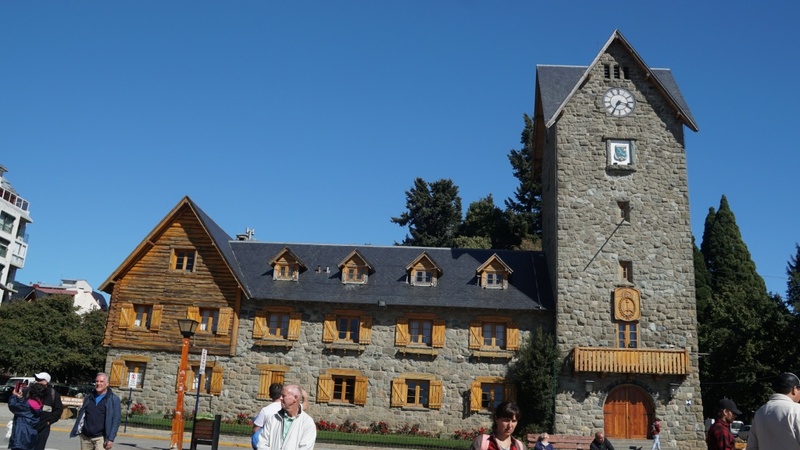 Why yes, Bariloche is the chocolate capital of Argentina, when an Italian came in 1947 and opened the first chocolate factory here. 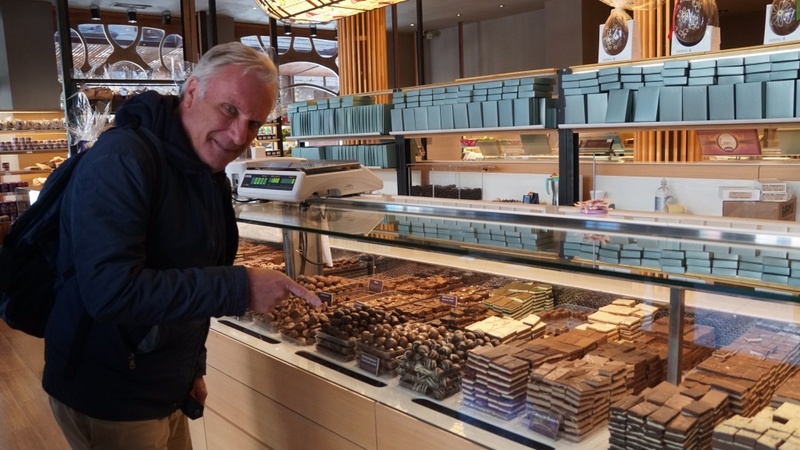 For a few blocks, there are a surprisingly large number of chocolatiers, concentrated on Mitre Avenue or what Argentines call “The Avenue of Chocolate Dreams.” Chocolate lovers will have a tough time getting down the block…there is just way too many to choose from! 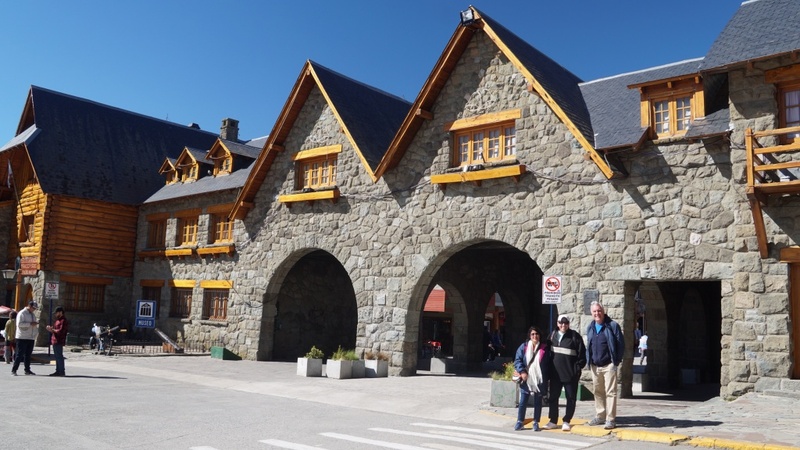 Just a short bus ride away took us to Mount Campanario, where a ski lift takes us to a lookout point to see Bariloche from above. The price of our ticket included coffee/tea and a pastry while we ooh’ed and awe’ed over a view that National Geographic has labeled one of the most beautiful vistas in the world. 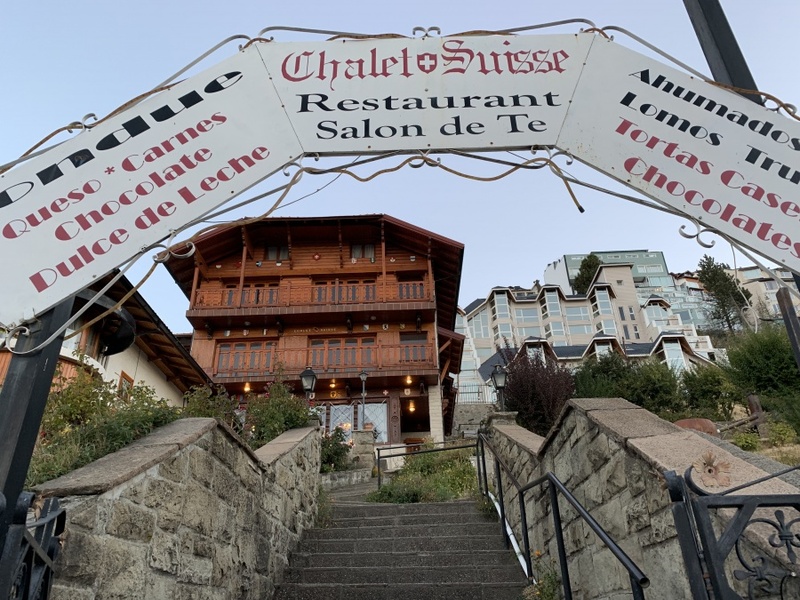 The one thing that lets you know you’re definitely not in Switzerland is everyone around you is speaking Spanish. We love this little city. Awesome! How was the chocolate? Gorgeous views ! 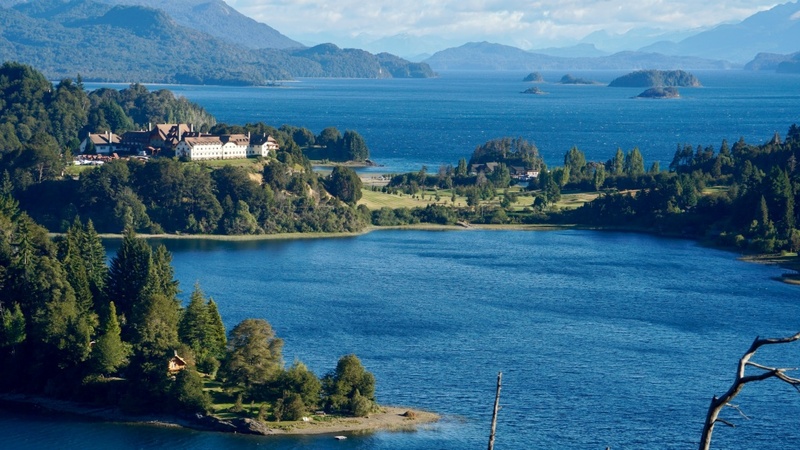 What a unique city in South America! Such a inique place with stunning views!